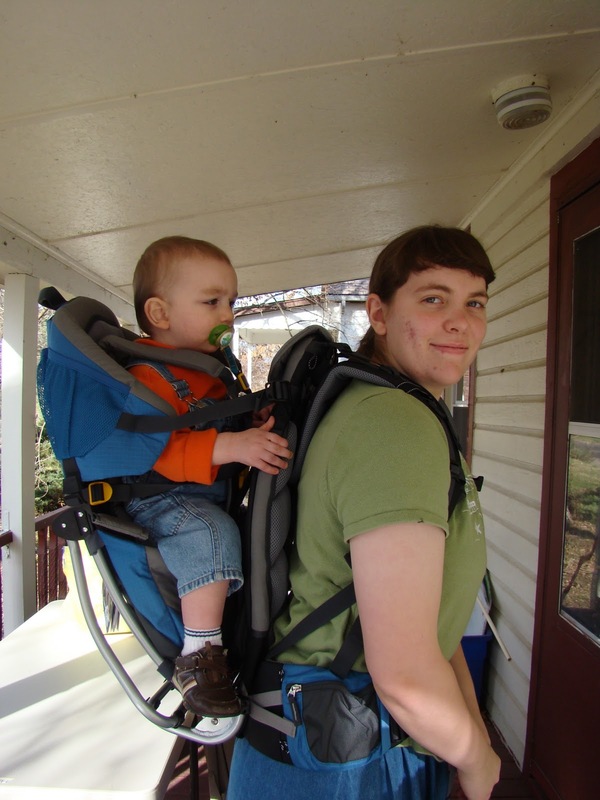 SGSG-Deuter Kid Comfort 2 Carrier Review and Giveaway!! Today's featured gift idea is a really awesome product for any parent-or even a young child! 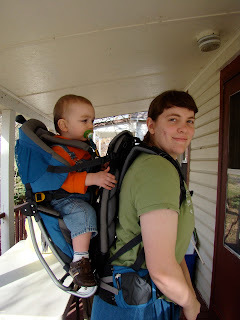 I received a Kid Comfort 2 Kid Carrier for review from Deuter, and I am so impressed! Deuter is a well-known name in hiking and sport products, and this child carrier is a good example of why Deuter is so well-liked! When I first opened this, I was amazed with the quality, yet it is so light! Perfect for hiking or backpacking with your youngster! The Kid Comfort II weighs less than 7 pounds, so you're not adding a lot to your load. I also like that the pack includes several pockets for other necessities (water bottle, snacks, rain poncho, keys, etc.). One unique aspect of the Deuter Kid Comfort II is the shaped "hip fins" that provide perfect comfort for you while carrying a child! This also helps stabilize the load, so as not to cause any unnecessary pressure or rubbing. All in all, this is the BEST child backpack carrier I have ever seen or used! I would highly recommend it for any parent who enjoys the outdoors! "A favorite with parents and kids alike: designed for that feeling of boundless freedom, also on longer hikes. The pivoting Vari Flex hip fins have been revised and now offer an even more comfortable, snug fit. They sit perfectly and diligently follow every movement the wearer makes. Load adjustment straps on the hip pads deliver precise load control and the freedom of movement gained means more comfort and safety. The new, ergonomic cut seat has soft side panels and a comfortable, washable headrest. Material: Deuter-Ripstop 210 / Deuter-Ballistic Nylon"
Deuter Kid Comfort II Kid Carrier!! I received a Classic Kit-Cat Clock for review. This clock is black, and is shaped just like a cat, and has a face, paws, etc. What makes it so great, though, is that the tail wags back and forth (like a chime on an old grandfather clock) and his eyes roll from side to side! The clock is 15.5 inches high, and is powered by 2 C batteries. This is THE cutest way to keep track of time, guaranteed! My little sister, who loves cats, thinks this is the greatest thing ever invented. A Kit-Cat Clock would make the perfect gift for any cat lover, or anyone who enjoys unique or cute gifts! Here's a video so you can see Kit-Cat in action! and Be a positive force in everyone’s life!" Disclaimer: I was not monetarily compensated for this review; I did receive product for the purpose of review. All thoughts and opinions are my own. All quotes taken from the Kit-Cat website. If there's one job I love, it is my "job" as a Gallery Direct ambassador! Each time I browse the site for a new review piece, I am overwhelmed at the variety they offer! This month I was looking for something a little different, but wasn't sure what. Until I thought to look for pictures of the Alamo-and wow did a lot pull up! I chose my favorite and then spent some time "designing" it with the perfect frame. When the package arrived, I was excited to see how it had turned out. Well, it looks like I picked a great frame to set off the magnificent beauty of the Alamo! I absolutely love it! This canvas is now hanging at the head of my bed (you know how much I love Texas history!). If you're looking for a unique gift for the holiday season, I would suggest browsing Gallery Direct. They often run various sales through the week (right now it is 25% off sitewide, plus FREE shipping) that make your shopping even easier! Disclaimer: I was not monetarily compensate din any way for this review; I did receive product for the purpose of review. All thoughts and opinions are mine. All quotes taken from the Gallery Direct website. I have a really wonderful hair care product to share with you all today. I recently received a bottle of Revital-Treatment from Urielle for review a couple weeks ago, and this has worked wonders for my hair! This is a restorative and conditioning treatment that is very lightweight, so as not to weigh down your hair. It replenishes important nutrients, and adds a silky shine. I have been using this every morning after showering, and it works great. After towel drying, I rub about 2 squirts of the treatment through my hair, starting at the ends. It actually helps detangle, in addition to the other benefits. I have noticed a big difference in the frizz factor while using Revital-Treatment. Even with the cold weather, which usually brings on frizz and static-y hair, my hair has been absolutely frizz and static free! My hair also has a lovely shine now. I like that this product gives immediate results, as well as long-term benefits with continued use, as it helps prevent breakage and split ends. This is a great product that I would recommend to anyone who wants healthy, beautiful hair! "The first in a new line of upscale hair care, Uriélle is pleased to unveil Revitál-Treatment - a restorative and conditioning styling treatment with many uses. An ultra-luxurious leave-in treatment that absorbs instantly into hair, Uriélle Revitál-Treatment is a weightless formula infused with natural restorative extracts from around the world. Enriched with vital nutrients and rejuvenating vitamins, it seals in moisture, softens and conditions all hair types, while leaving no residue or weighing hair down. Uriélle Revitál –Treatment promotes healing and has the ability to restore over-processed hair that has been damaged by chemical procedures, excessive heat styling, free radicals and environmental factors. Along with color protection and long-term conditioning benefits, even dry, brittle hair is left soft and replenished with a silky finish and brilliant shine." 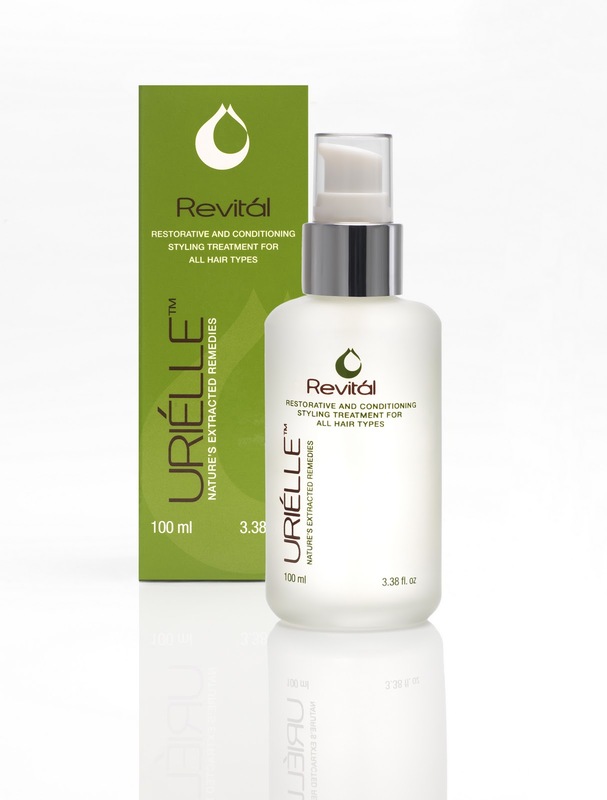 One of my readers will receive a bottle of Urielle Revital-Treatment!! Hey all, hope you had a wonderful Thanksgiving weekend-I know I did! Delicious food, great friends and family to hang out with-it doesn't get much better! But, now that we're back to the mundane, day-to-day living, I thought I'd share a great site where you can compare various car insurance rates, to get the coverage you need at the best price. Visit http://www.carinsurancerates.me/ and you can compare quotes online. The rates are available for everyone, even students or drivers who were at fault in past accidents. This site offers fast service too, with your results available in just minutes! Check it out; maybe you'll be able to save a little on your car insurance! Hey everyone! Just wanted to let you know that Gallery Direct is having an AWESOME Cyber Monday sale today! All Canvas Gallery Wrap prints are 50% off, and everything else (framed, acrylic, wood, paper, mirror, etc) are 33% off! And shipping is absolutely FREE! This would be a great day to go shopping for some nice Christmas gifts! SGSG-Ozeri Digital Pedometer Review and Giveaway!! Hey everyone, here's a gift idea for those health and fitness friends! I received the 4x Razor Digital Pedometer for review from Ozeri. This pedometer is a great way to ensure you are walking the right amount of steps each day to lose weight or stay at a healthy weight. It records the individual's steps, distance, calories and exercise time. I have really enjoyed keeping this clipped on my shoe or waistband to record how much I move throughout the day! I was surprised to see that many days I was well over my 10,000 step goal (probably due to the spur-of-the-moment volleyball games we have throughout the week), and I was able to notate which days I was less likely to reach the goal. This little device records the total steps for a week, and resets to 0 after a few days. I am very impressed with how sturdy this is too. I have gone through several pedometers in the past few months, and they end up cracking, totally blanking out, or constantly falling off my waistband within just a few days. 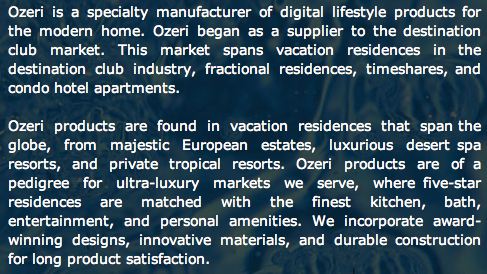 None of that with this Ozeri pedometer! It works great, accurately records my steps/distance, and hasn't come off at all, even during volleyball and racquetball! 3 of my readers will win their own 4X Razor Pedometer from Ozeri!! Also included is a meal planner and recipe booklet to help plan your week. I was amazed at how tasty these foods were, considering a lot of "diet" foods just plain don't taste good! My favorites were the Cinnamon Swirl Toast, Plain Bagels (with a thin layer of low-fat strawberry cream cheese=delicious!) and the Pizza Crusts. I made a variety of pizzas; pepperoni, cheese, etc. I especially liked adding fresh onion and pepper slices! I was also very impressed at how much this cut down on my hunger. Normally I eat breakfast at 7:30 and I'm getting hungry again by 11:00. Not with the Zone Diet! I was able to wait 4-5 hours easily before even starting to feel hungry! I noticed that I was eating much less, and still feeling full. In my 2 weeks on the Zone Diet, I lost a total of right at 6 pounds! I am still incorporating some of the ideas into my meals, for a healthier diet. 3 of my readers will win the ZoneFast Weight Loss Program (2 week program just like I received)!! Do you like wearing scrubs? While I don't have any need for a uniform, I do enjoy wearing scrubs around the house just for the sheer comfort! I started wearing scrub tops a couple years ago, after my Mom kept telling me that they were the perfect "lounge around the home" garb. After getting a few cute scrub tops for wear at home, I realized she was right! There is nothing more comfy than a scrub top. If you're looking for scrubs, you should check out Blue Sky Scrubs; they have some really nice-looking scrubs at very low prices! The shopping experience is easy on Blue Sky Scrubs too; you can browse by scrub type (tops, jackets, pants, etc.) and simple or original scrub styles. So make sure you check out http://www.blueskyscrubs.com/categories/Scrubs/Scrubs-for-Women/ soon! A few months ago we decided to upgrade our vehicle. We have a nice Explorer that runs great, but it gets a little tight on long rides, and as much as we travel, it made it somewhat difficult. There is hardly any trunk space, and it's a little snug for fitting 3 people in the back seat. So, after considering our options, we decided a Suburban would be the perfect vehicle for our family, and started looking at nearby dealerships, and checking the local papers. When we found a Suburban that sounded just right for our family-low miles, reasonable price and good condition-we drove down to check it out. The car dealer was located a little over an hour away, but it was worth the drive. Although the Suburban is a few years old, it had been kept in great condition, and had lower mileage than any other one we had found. What really sold us on this specific vehicle, though, was the helpful employees at this particular dealership. The manager was willing to work with us on the price, and was very honest and forthcoming about any problems with the Suburban. After a few days of consideration and prayer, we went ahead with the purchase. Everything went smooth, and we headed home with our new vehicle. When we had a small hitch with the title/tag transfer, all we had to do is call the salesman, and he got us set up and straightened out in no time! We are really enjoying our great new Suburban! I am participating in a blogger campaign for Bucks2Blog about Nissan Chicago and was compensated. However, the views and opinions are my own. How many of you wear scarves? I was never a big fan-preferring instead to let my ears freeze during winter months :) but when I received the opportunity to choose a scarf for review from Affordable Scarves, I decided to try it out. I am so glad I did! 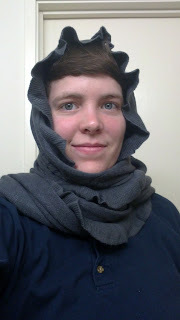 I never knew a scarf could be so pretty, and a fashion statement as well as a way to keep my neck, head and ears warm! After browsing for a while on Affordable Scarves, I chose the Aurora Ruffle Scarf. The Aurora Scarf has a lovely floral embellishment detail that adds such a feminine look. My favorite thing about this scarf, though, is the ruffled edges. It is so pretty! This scarf is extra wide too, so I can wear it as a shawl if I prefer. It is super soft, too! Not scratchy and itchy like the scarves I remember from my childhood! If you're looking for a great selection of winter scarves, check out Affordable Scarves today! One of these beauties would also make a wonderful Christmas gift! "At Affordable Scarves, you can indulge your inner fashionista with beautiful scarves that don't break the bank. Whether you long for leopard print, flowers, glitter, or shine, you'll find both variety and quality in our unbeatable selection. We have easy-to-wear infinity scarves, shawls perfect for a night out on the town, and pashminas so soft you'll want to use them as blankets. Looking for the perfect gift? Try a plaid or a wild animal print. Our head scarves make the perfect hair accessory or summer belt, while our capes and ponchos keep your winters warm and toasty. You can also trust that when you shop at Affordable Scarves, you'll experience excellent customer service. We make it a priority to offer prompt shipping, quick and friendly service, and a 100% money-back guarantee - plus free shipping on every order over $40! We're happy to help make your online shopping experience the best it can be." 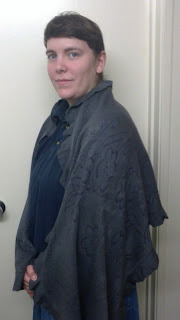 One of my readers will receive a $20.00 certificate to Affordable Scarves!! With the economy the way it is (and has been for some time now), many individuals and families are looking for help with their home mortgages. One website I found recently offers help with home mortgages, even for people with bad credit. However, this is more than just a mortgage loan company. This site also includes instructional tutorials on various subjects such as General Information on Loan Modifications. If you have been considering making changes or modifications to your loan, then you should check out this page. I also found the page on Information for first-time buyers very helpful. I have never actually bought a house, so the information included here is extremely useful. If you have been considering getting a loan for your home mortgage, or are even just looking for information about the qualifications and requirements, I recommend you check out Advantage Home Rates. You can even apply for a mortgage loan online! SGSG-Nancy Drew PC Games-Alibi in Ashes! Review and Giveaway!! Practically everybody has heard of Nancy Drew, whether it's from the multiple printings of mystery books, the old TV show, or most recently, the PC games produced by Her Interactive. Our family started playing the computer games when they first came out, and we have been hooked ever since! I was excited when I heard about the new Nancy Drew game, Alibi In Ashes. Not only did the trailer look very interesting, but the game is based in Nancy's hometown of River Heights. Nancy and her friends (Ned Nickerson, Bess Marvin and George Fayne) are participating in a local contest when it turns deadly. Nancy barely escapes from a burning building, and is arrested soon thereafter, as she has been framed to look like the arsonist responsible. Who set the fire? And was Nancy their real target? This is quite honestly probably my favorite Nancy Drew game in quite some time; the plot was fun, and I enjoyed getting to play as Nancy and her 3 friends! It seemed to bring back some of the danger that has been missing from some of the past games. One of my favorite parts was getting to play as Nancy inside the police station, where she conducts forensic investigations (fingerprint matching, chemical analysis, etc.) and gathers evidence on the deduction board. Prowl around the police station to uncover more evidence about the case. Once Nancy gets released from jail, the adventure heats up as she starts questioning suspects, following up on leads that Ned, George and Bess have gathered. This is a great game that provides hours of enjoyment! Pick the lock to gather important clues! I always enjoy the puzzles in the Nancy Drew games; these really make you think, and some even teach helpful tools; in past games you have to learn/use sign language, morse code, phonetic alphabet, etc. It would make the perfect gift for any girl or teen (or even mother-my Mom still loves playing these too!). What girl wouldn't love solving mysteries with Nancy Drew? It's a gift that will certainly be received with joy! "Her Interactive is the leading mystery-maker and pioneer of fun and inspiring interactive entertainment. The company, with 24 awards to its name, designs, develops and publishes high-quality, mystery adventure games and apps, and is the world leader in the mystery games category. Her Interactive's Nancy Drew games have sold more than 9 million copies. This success, in part, is buoyed by the ever-increasing numbers of girls and women becoming avid game players. Nancy Drew players now include moms who have introduced their daughters to the girl detective, making her one of history's longest-running iconic figures spanning generations. As the number-one PC mystery franchise since 2004, unit sales of the Nancy Drew series have exceeded those of Harry Potter, Myst and Tomb Raider." 2 of my readers will receive their own Nancy Drew-Alibi In Ashes PC Game!! This is a Sponsored post written by me on behalf of Tassimo. All opinions are 100% mine. Only with Tassimo Pro brewer can you get the taste and quality of a coffee shop beverage (including lattes and cappuccinos) right in the office. There are so many combinations available, and they even include real milk creamer. The brands of beverages available for Tassimo Pro are overwhelming too. Gevalia, Suchard, Twinning are just a few of the top-quality names. In case you're wondering just how the Tassimo brewer works, it is very simple. The T-Discs are encoded with a unique bar code that you simply scan, and the brewer automatically brews up your amazing drink. (Incidentally, the Pro T-Discs have a double-bar brew code so employees can't take them home for use in their home brewer). The brewer works with one touch, and in less than 2 minutes you have your specialty coffee drink (or tea) ready to drink! You can't beat the Tassimo Professional Brewer for fast, tasty and low-cost drinks! If this sounds like something you'd be interested in for your office, you can sign up for a Tassimo Professional free demo! What a great way to learn more about this amazing pro brewing system! Matt at the North Star Games booth! 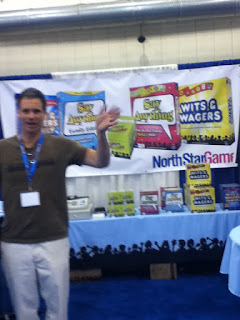 Me at the Buffalo Games booth; they have some really awesome games! 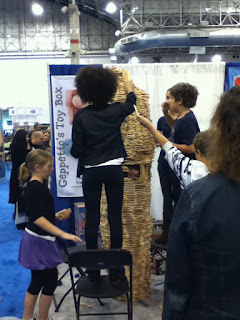 There's a kid in this CitiBlocs tower!! The ChiTAG fair runs through tomorrow, so if you get a chance this afternoon or maybe tomorrow after Church, stop by for a fun time the whole family will enjoy! Being vigilant about helping my kids stay together is important to me. Some may call me a meddling mother but it’s important to me that my sons and their wives have happy, long marriages and nothing comes between us and our families. I recently told my daughter in law about Euless Texas Direct Energyso she could save them some money and hopefully stop all the fighting about costs of everything. My son is too intense about every dollar she spends and my daughter in lawneeds to quit going to the mall so much. I watch Dr. Phil every day and he gives me a lot of good life lessons that I like to pass on to my family. They’re all so great in so many ways but sometimes they need a little help when it comes to finding the right way. They’ve stopped calling as often which I can’t decide if that’s a good thing or something to be worried about. Hopefully it means that they’re fighting less! SGSG-Burt's Bees Bee Pampered Spa Set Review and Giveaway!! Giving a busy mother a pampering-type gift for the holidays is a wonderful idea. If you're looking for a gift like this, then check out the Bee Pampered Spa Set from Burt's Bees! I received one of these sets in the Cranberry Pomegranate fragrance, and it is absolutely delightful! It quite definitely adds some pampering to your shower or bath! The set comes with a Sugar Scrub and Body Butter, and is packaged in a cute little box that is perfect for gift-giving. I was excited about trying these out. The sugar scrub is a wonderful sugar-based exfoliator that leaves my skin leaving soft and smooth. I use this a couple times a week! The Body Butter is the perfect finishing touch to my shower after sing the scrub. Layering the 2 products makes the cranberry pomegranate fragrance last for hours. I have especially enjoyed the moisturizing effects as the weather turns colder! The cranberry pomegranate is a very sweet, fruity scent that I really enjoy. This Bee Pampered set would make a great Christmas gift for any woman! "Burt's Bees is an "Earth Friendly, Natural Personal Care Company." We create natural, Earth-friendly personal care products formulated to help you maximize your well-being and that of the world around you. To make certain that all our products meet the highest standards, as well as our dedication to ensuring The Greater Good, our products are carefully crafted using ingredients that are the best nature has to offer: beeswax, botanical and essential oils, herbs, flowers and minerals. These safe, effective ingredients have withstood the test of time." One of my readers will win a Bee Pampered Spa Set from Burt's Bees!